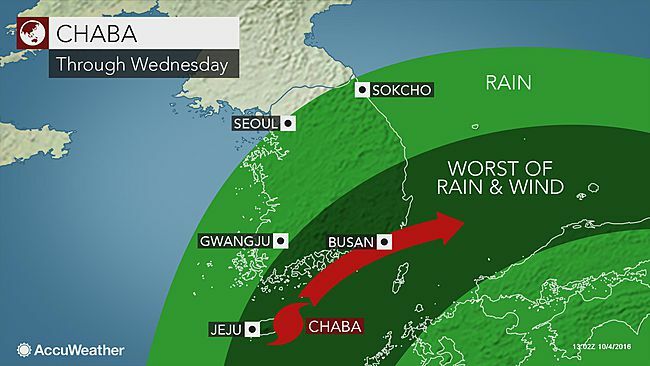 Typhoon Chaba Lashes South Korea- Your Prayers are Needed! South Korea: Our prayers go out to South Korea as Typhoon Chaba left a trail of destruction in the cities of Busan, Ulsan and Jeju Island. The typhoon hit South Korea on Wednesday, leaving six casualties. John Watton, Asia-Pacific Region Nazarene Compassionate Ministries (NCM) Coordinator, is currently communicating with the Church of the Nazarene in Korea regarding disaster response measures being implemented to help our brothers and sisters in the affected areas. Typhoon Chaba is now in Japan. Please pray for the people in South Korea as they deal with the devastation brought by the typhoon. May God’s peace and healing be upon them during this time. Also include Japan in your prayers that the Lord will keep them safe. The First Myanmar Southern District NYI Conference - 95 views. Nazarenes Around the World Respond to Christchurch Shootings With Love - 73 views. New Beginnings for CIC Myanmar Students - 60 views. Just 30 Weeks Left Until 2019 Regional Conference - 51 views.